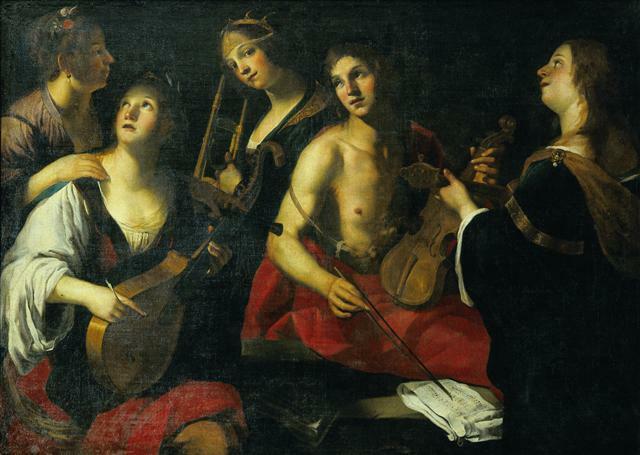 An ensemble of musicians in Francesco Rustici’s painting, “Concerto” (Italy, ca. 1615). This is what might be termed a preliminary list or working list. I consider it an ongoing project. My university recently acquired a beautiful Baroque tenor trombone from Egger Instruments and has ordered comparable alto and bass trombones to complete the set. Originally I created this literature list as part of the proposal for acquiring those historical instruments. Going forward, I’ll continue to augment the list as I select literature to perform and as I utilize it for a college brass literature course I teach. If readers in the broader musical community find the list useful or interesting, all the better. The references can be found in the Trombone History Bibliography. Because the original list became too long and slow as a single blog post, here it is divided into sub-categories. The categories are practical groupings, largely for performance forces that happen to be available or convenient at my university. The chronological cut-off date is 1800. Enjoy!